The rain in Spain stays mainly... in Galicia. 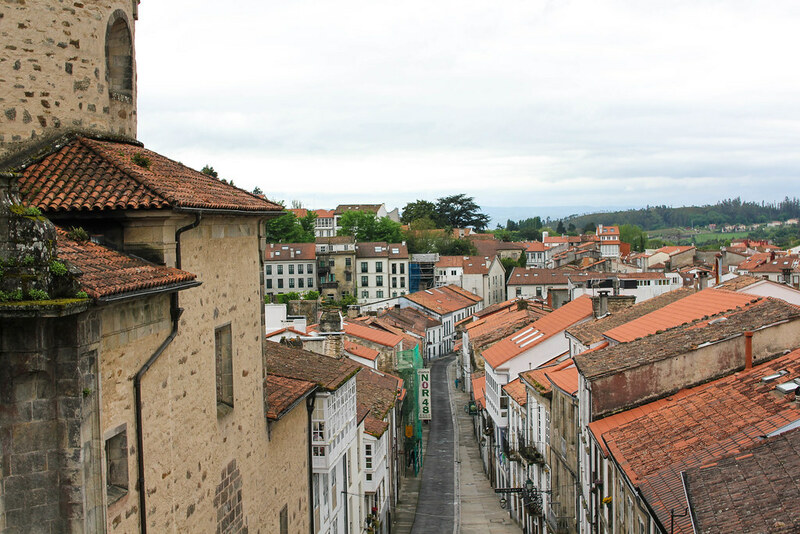 Tucked away in the northwest corner of Spain, the city of Santiago de Compostela is most famous for being the final stop of the Camino de Santiago, an ancient pilgrimage that draws thousands of trekkers each year. The city takes its name from St. James the Apostle, whose remains are supposedly housed in the old town's cathedral. 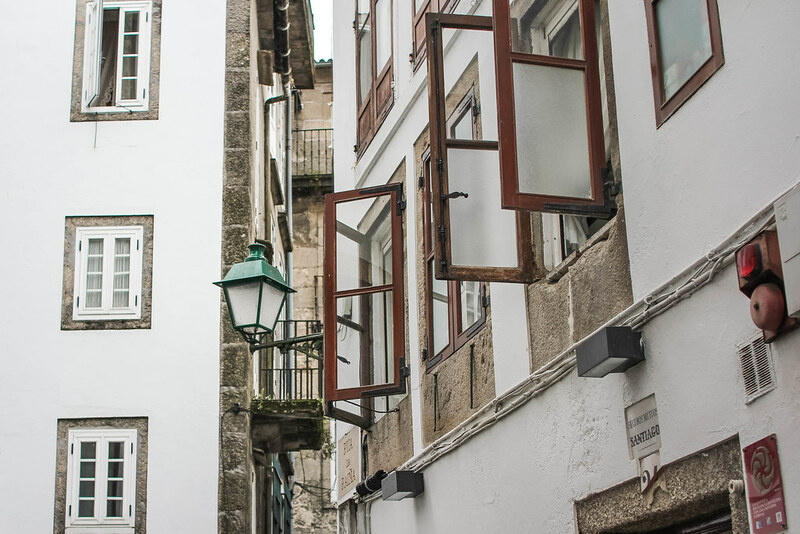 Santiago de Compostela's lush landscapes, striking architecture and mouthwatering cuisine assert it as a hidden gem destination in northern Spain. 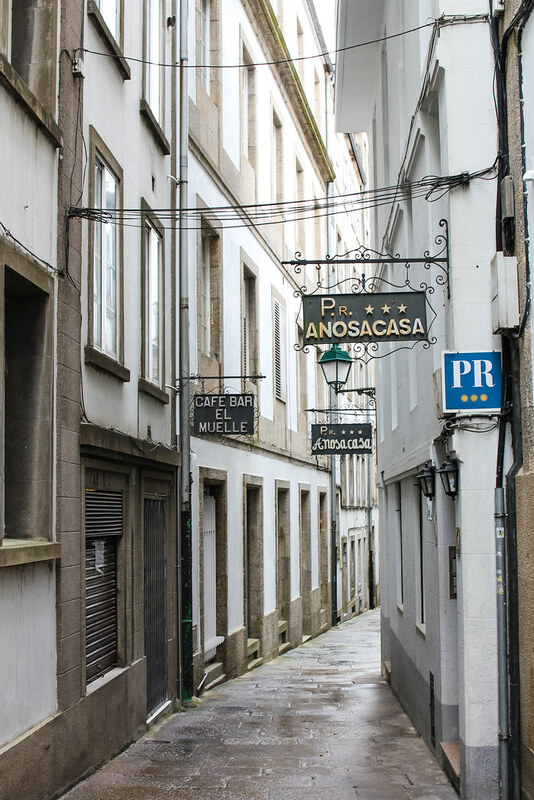 As a non-pilgrim visitor, I set out to explore Santiago de Compostela the best way I know how: by eating, drinking, and snapping an obscene amount of photos. Thanks to my friend and tour guide Trevor of A Texan in Spain, I got in a healthy dose of history and culture as well. 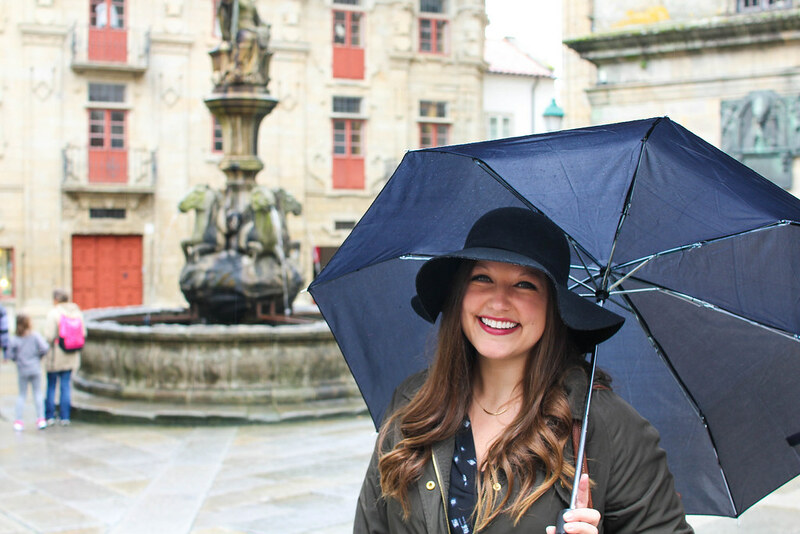 Aside from the celebrated Camino de Santiago, Galicia is best known for its phenomenal seafood, breathtaking landscapes and coastlines, and - you guessed it - incessant rain. Upon seeing Santiago's verdant hills and moody slate skies, I felt my heart skip a beat; the scenery bore a staggering resemblance to my homeland, the stunning Pacific Northwest. For the first time in ages, I felt surprisingly homesick. It only took 24 hours to remember why I left the rainy Pacific Northwest in the first place. It's not my intention to downplay the beauty of Galicia, but I simply couldn't handle its constant showers. Madrid has spoiled me with sunshine and dry weather, and I've officially abandoned my once optimistic, "The rain can't bother me, I'm a Seattleite!" attitude. It rained for almost three days straight. While I was tempted to hibernate inside the nearest tasca with a bottle of Albariño and tarta de Santiago to myself, we rallied through the downpours and drizzles. One broken umbrella, one ruined pair of boots and a short-term case of seasonal affective disorder later, I can safely say that I could never live in Galicia. But what Santiago de Compostela lacked in weather, it made up for in charm. 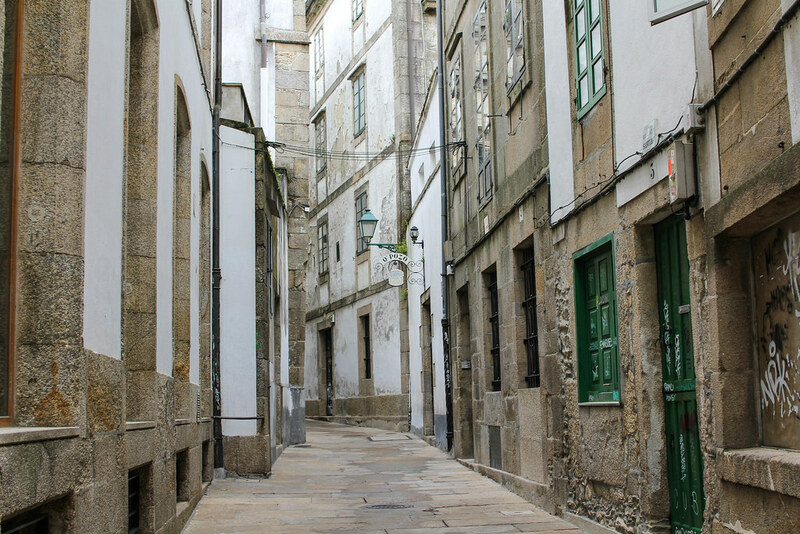 The old town, which is now a UNESCO World Heritage Site, emanates magic. With each corner I turned in the picturesque maze of streets, I fell in love with the city all over again. The arched soportales, or covered walkways, sheltered us from the rain as we admired the whitewashed granite and coordinated earthy tones, accentuated by pops of emerald green street lamps and shutters. 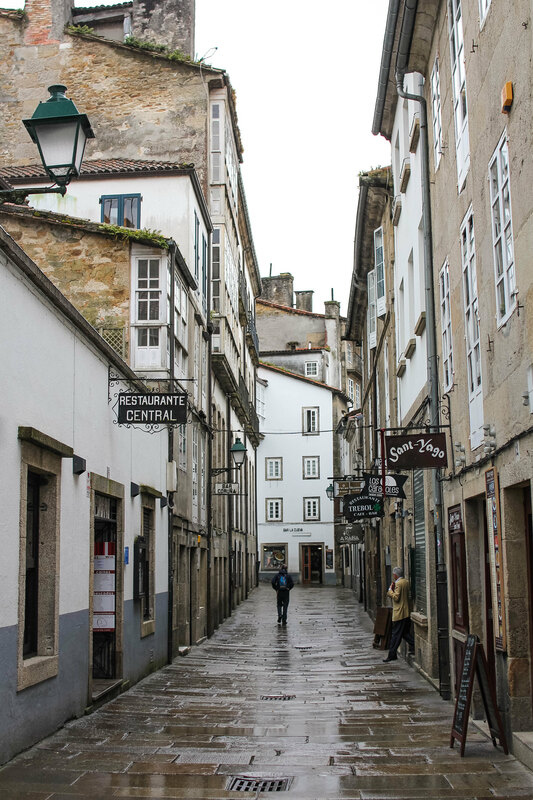 As much as I may have complained, Santiago de Compostela is a city that genuinely looks good in the rain. Even during a shower, the streets positively glimmer. Santiago de Compostela also challenged me to broaden my culinary horizons. 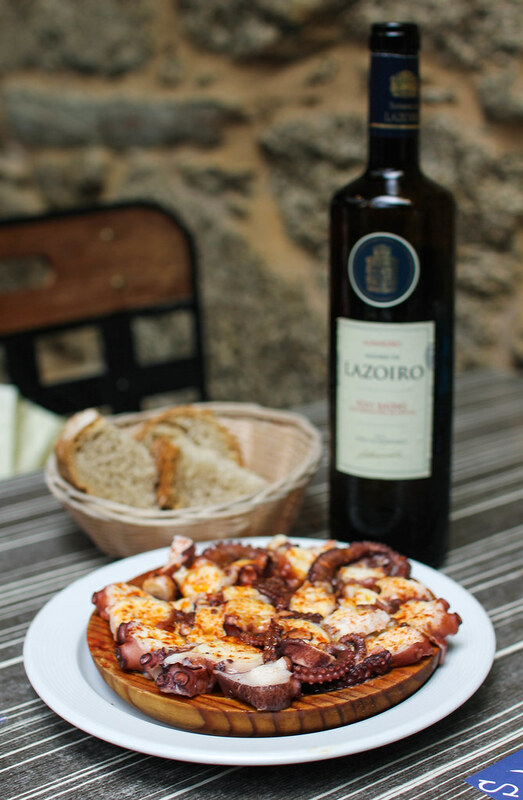 Of course, I'm referring to Galicia's most celebrated dish, pulpo a la gallega. 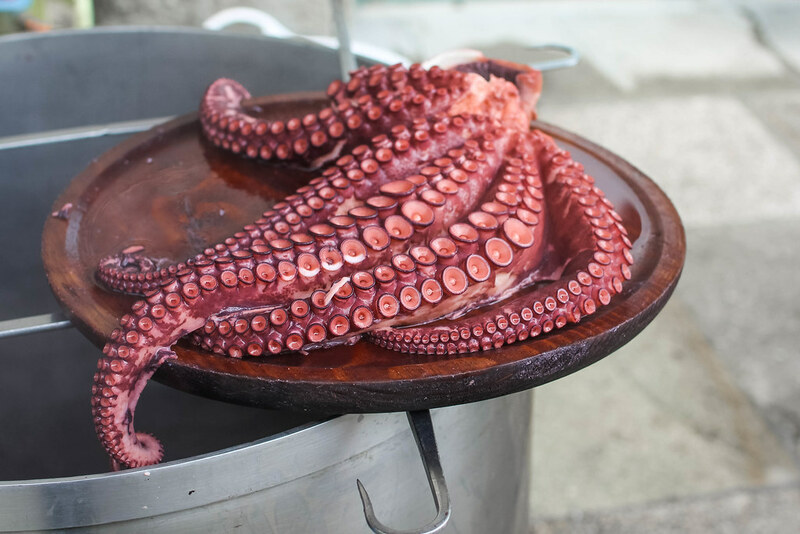 The Galicians work their magic by boiling octopus and serving it with a slight dusting of paprika and a healthy drizzle of olive oil. The lightness of the sauce highlights the freshness of the dish, rendering it hearty yet surprisingly simple. Since I'm not the biggest seafood lover to begin with, I was shocked by how much I actually enjoyed pulpo. 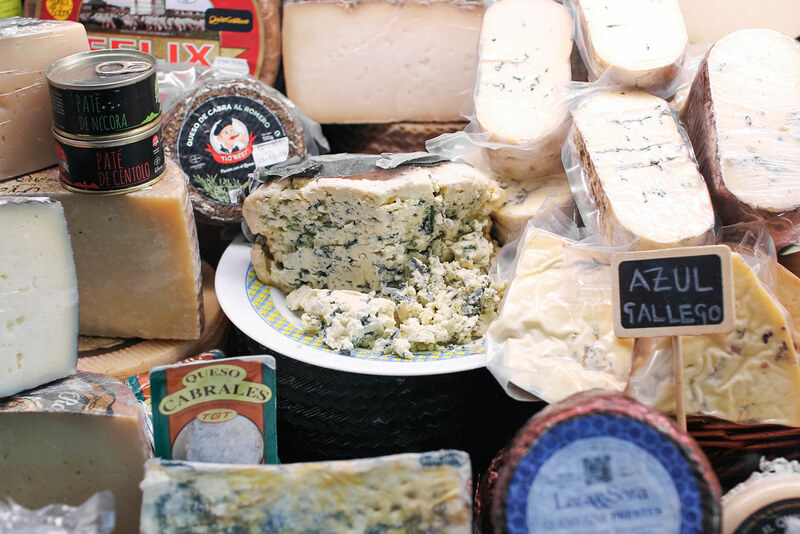 Along with the world renowned seafood, Galicia wowed me with their delectable assortment of local cheeses, crisp white wines, pimentos de padrón, grilled meats and fresh produce. Per Trevor's recommendations, we gorged ourselves on churrasco (tasty Galician barbecued meat) at La Codorniz and treated ourselves to a gooey slice of tortilla almost every day at La Tita. We devoured a feast of traditional Galician dishes at Bodegón Os Concheiros Pulpería, a no-frills local favorite outside the touristic center. 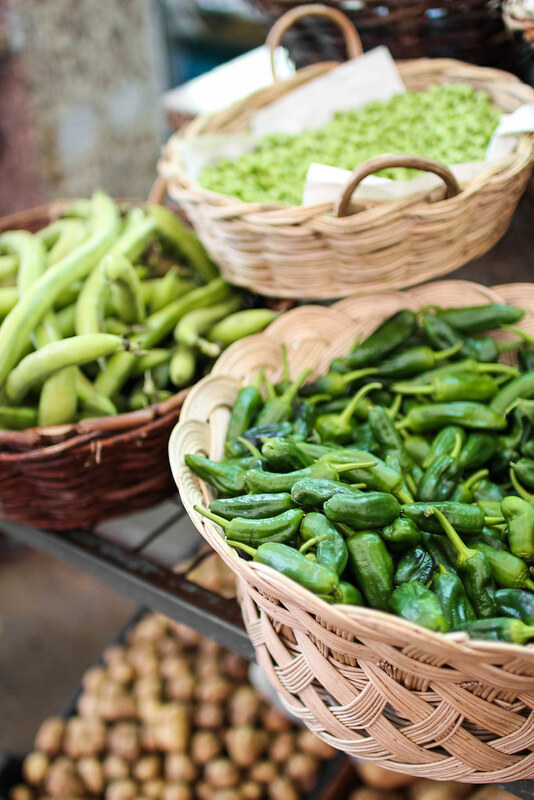 Suffice it to say, sightseeing through your tastebuds is one of the best ways to experience Santiago de Compostela. I came. I saw. I ate pulpo. I conquered. Thankfully, we balanced out our overeating with a serious amount of walking. 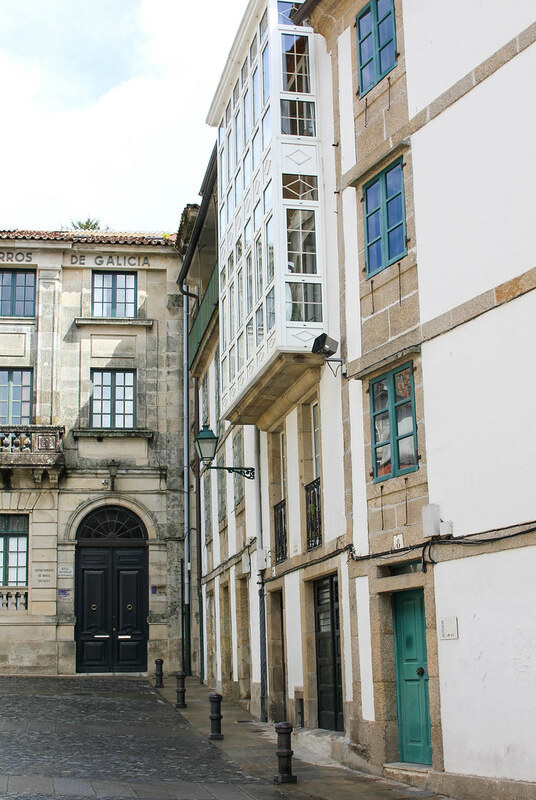 Since there's no shortage of things to do in Santiago de Compostela, we busied ourselves with getting to know its captivating sights and history. From the iconic cathedral to the vast parks and green spaces, we kept ourselves active between discovering the city one bite at a time. 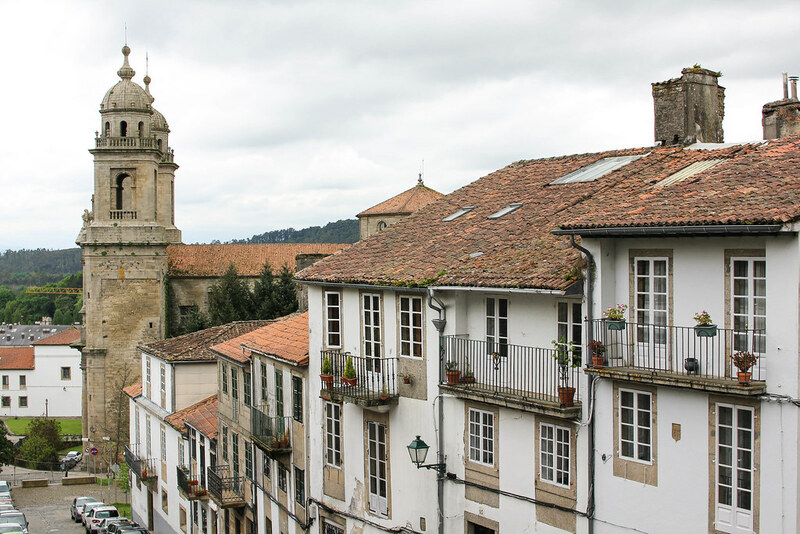 Galicia boasts a wide variety of day trips, so we hopped on a high-speed train and zipped through the breathtaking countryside towards Ourense. 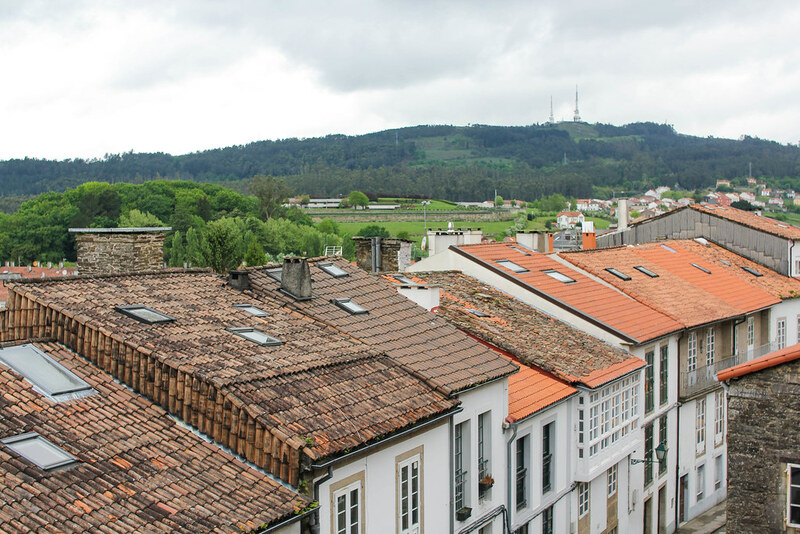 This relatively undiscovered town is worth visiting for its natural hot springs along the Miño River. We relaxed in the thermal baths at Termas Outariz, which was the perfect way to warm up on an otherwise cold and rainy day. Thanks for being a great tour guide, Trevor! 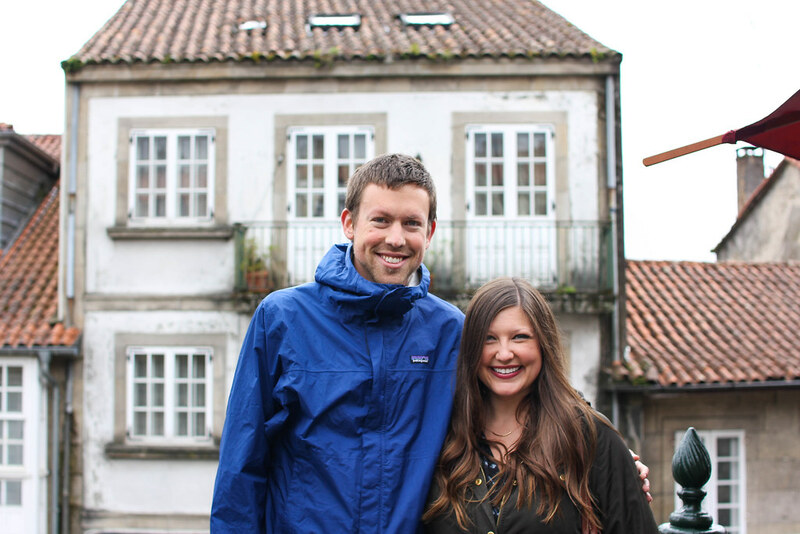 Despite the adverse weather, I was thoroughly impressed by Santiago de Compostela's charm and natural beauty. While the rain would deter me from ever living there, it certainly wouldn't stop me from visiting again. 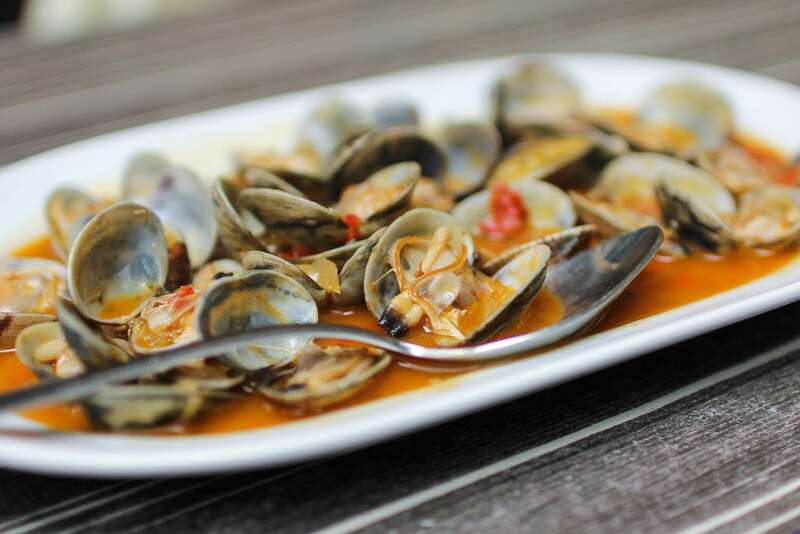 Thanks to its enthralling cuisine and culture, I consider Galicia to be one of Spain's best kept secrets. Have you ever visited northern Spain? 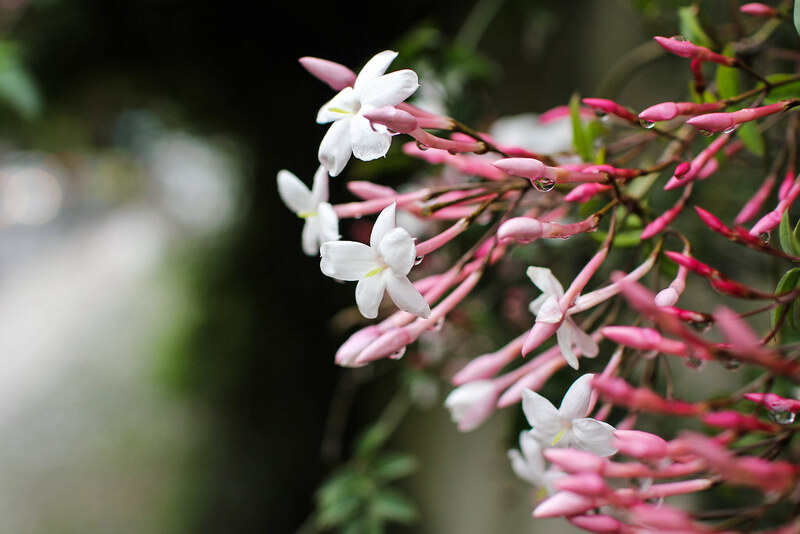 What are your favorite off the beaten path destinations?